Summertime is here, and I like to wear polo shirts. I seem to wear them all the time, work or play. What’s the deal with tucking? Tucked in or untucked? If you’re wearing them to work, then of course you need to be tucking them in. I’m assuming, of course, that you’re wearing chinos or flat-­front pants of some sort and not jeans. It looks more professional, for one thing, and untucked shirts with chinos tends to look unflattering and often sloppy. As for when you’re wearing jeans or shorts, it really comes down to personal preference. 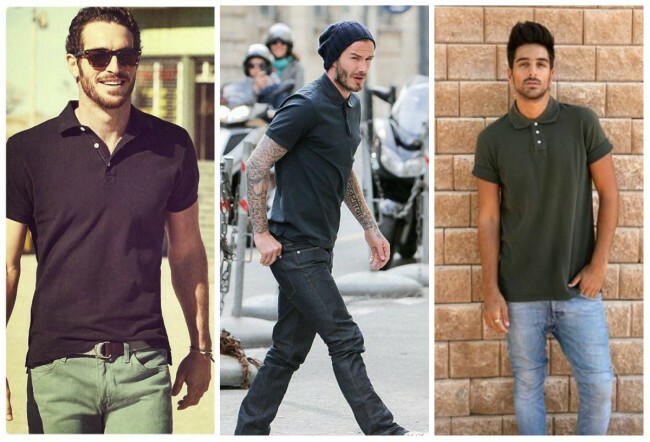 Untucked polos look best if they aren’t very long. You bought the shorts, why cover them up?